Truckload spot rates tell you what it costs right now to ship goods on a particular type of vehicle, e.g. a flatbed, a reefer, or a van, with the price generally expressed as a cost per mile. A number of factors affect the truckload spot rate, and the going spot rate in turn impacts other transportation costs. The spot rate market offers flexibility for one-off truckloads on short notice, and, in times of abundant capacity, it can be a great way to look for competitive pricing. But even during the capacity crunch that dominated much of 2018, the truckload spot rate market remained relatively competitive through the summer. However, more and more shippers opted to try to sidestep uncertainty by securing contract rates. As a result, demand for spot rates dropped during the fall and remained lower than normal during the holiday season, when it’s usually at a fever pitch. Unlike the spot rate market, a transportation contract allows shippers to secure a minimum amount of capacity at a set price for their freight ahead of time. Securing freight contracts requires some degree of planning ahead, and it may offer less flexibility for shippers when things change at the last minute. Because of the frustration and uncertainty associated with the extremely tight capacity market in 2018, contract rates became steadily more attractive. The resulting higher demand has meant that contract rates have risen in 2018. There are a number of factors that impact domestic contract and spot rates. Some of them are tied to seasonality or mileage, making them a little easier to predict. However, other factors, such as fuel prices, attractiveness of loads or lanes, and transportation market capacity, are a little tougher to predict. Right now, there’s one main factor that has a pronounced effect on the price of truckloads: a high load-to-truck ratio. The load-to-truck ratio describes the number of loads to be shipped divided by the number of available trucks to ship them. When there is a higher number of loads to be shipped and relatively few trucks available to ship those loads, this ratio is considered high. Using supply and demand terms to describe the current truckload market, supply is low and demand is high. As a result, transportation costs for companies that rely predominantly on over-the-road trucking have risen. One significant reason for this lower supply? The driver shortage, which— for all intents and purposes— is equivalent to there being a shortage of trucks to move goods. As older drivers retire, fewer young people are choosing to enter the field, even with lucrative pay and incentives in place to attract them. 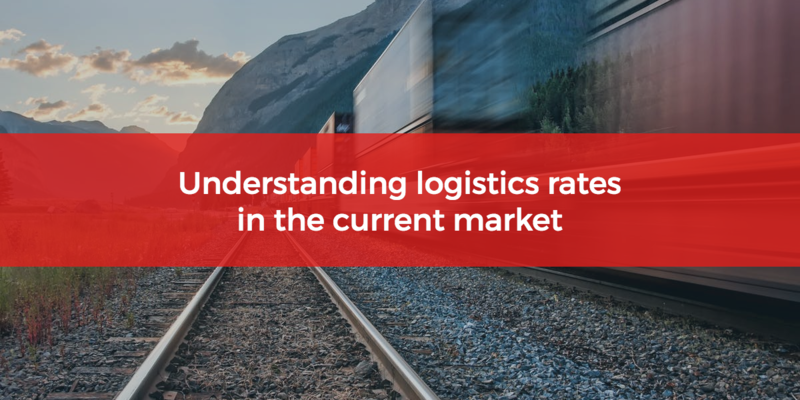 With fewer qualified operators that are able to transport goods from place to place, the load-to-truck ratio has remained high, keeping costs higher as well. The freight shipping market can be extremely complex to understand, and staying up to speed on the state of all these interrelated factors can feel like a full-time job. That’s why many companies prefer to work with a trusted logistics partner to help guide them through the nuances of securing transportation, and to help them make better-informed decisions. At CAI, we’ve helped our customers find solutions that work for their budgets and timelines— even in a competitive marketplace. Want to see how we can help solve some of your most pressing transportation issues? We’d love to talk. Request a consultation today.